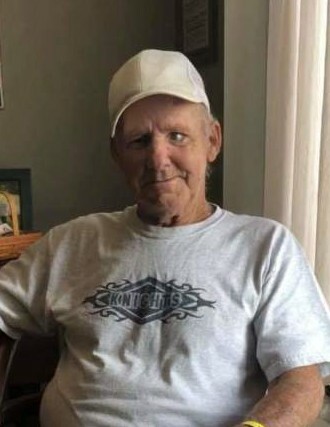 Richard E. Landrith, 76, of Milan, passed away Monday April 8, 2019 at Heartland Health Care Center, Moline. Per his wishes, his body will be cremated and there will be no local services. Richard was born on May 8, 1942 in Aledo, IL, the son of Calvin and Marie (House) Landrith. He had been employed as a ranch hand on farms in Wyoming, Keithsburg area and worked on construction in the Wenona area. Mr. Landrith was a member of North American Hunting Club. Richard loved deer and turkey hunting, fishing, mushrooming, playing pool and watching all sports on TV. Survivors include his children, Pattie Luett, California, Alicia White, Rock Island, Raechel (Steve) Barker, California, Rebecca Landrith, Milan; and his Boy, Wayne (Laurie) Prather, Milan; 10 grandchildren; 5 great grandchildren; sister, Rosemary Winterholter. He was preceded in death by his parents, Calvin and Marie; 2 brothers and 3 sisters and his soul mate Judy Skinner.